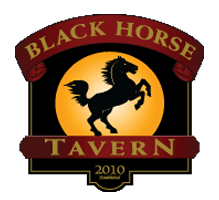 Black Horse Tavern | Best Stop in Winchester, MA! Classic garden salad tossed in our house made shallot-dijon vinaigrette. Our 1/2 pound Burgers our made with 100% fresh -never frozen- ground Black Angus Beef. Served with house cut fries, lettuce, tomato, onion, and a pickle. Ask Your Server about our seasonal and rotating draft selections. Bud, Bud Light, Pabst Blue Ribbon (16oz), Coors Light, Miller Lite, Michelob Ultra, St Pauli Girl Non-Alcoholic. Amstel Light, Corona, Corona Light, Dales Pale Ale, Heineken, Magners Cider, Wachusett Blueberry, Down East Cider. Bud Light, Black Horse Brew. Guinness, Harpoon I.P.A., Sam Adams Boston Lager, Sam Adams Seasonal, Blue Moon. Long Trial's Limbo Double I.P.A., Rotating I.P.A. Ask your server about our featured wine selection. Notify your server of any food allergies.